The HP Color LaserJet 2500Lse printer produces incredible quality work right from your desktop. 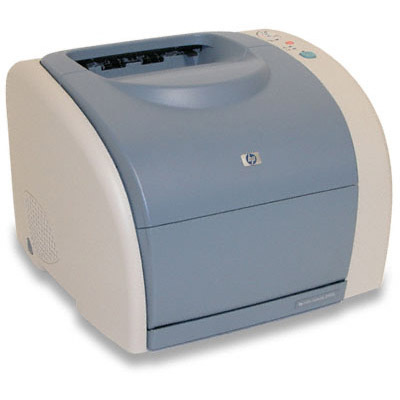 This relatively compact printer model provides you with convenience as well as a consistent performance. You’ll get clean, easy-to-read text documents at speeds of 16 pages per minute (ppm) as well as brilliant photographs that print at 4 ppm, making this resilient printer perfect for use at home or in a midsize office. You’re probably accustomed to paying inflated prices for original equipment manufacturer (OEM) HP toner, but you could be getting OEM print quality at a cheap toner price! 1ink.com offers discount toner for HP Color LaserJet 2500Lse printers with our line of remanufactured toner cartridges. You’ll get the same brilliant print quality and the same impressive page yields (5,000 pages in black, 4,000 pages in color), all for over 50% off the OEM price! Our remanufactured HP 121A toner cartridges were designed for optimum performance, from installation of the cartridges right through printing out your professional-quality work. When you need toner for your midsize office, try 1ink.com and see how our affordable toner can help your business!